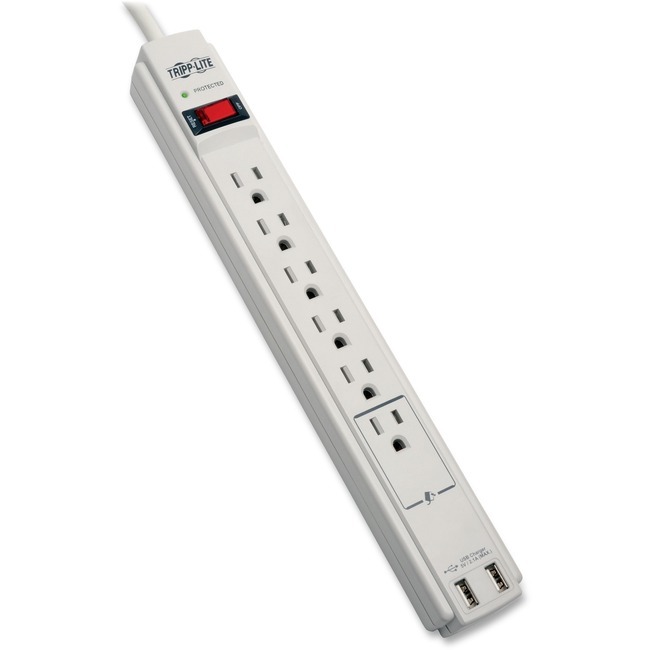 Six-outlet surge protector offers economical AC surge suppression for protection of workstations, desktop computers, telecom systems and more. Built-in AC surge suppression shields your connected equipment from damage and performance problems due to transient surges. Two USB charging ports offer fast charging for smartphones, tablets, MP3 players and other portable devices. Diagnostic LED warns of suppressor damage to prevent unexpected damages. 990-joule AC suppression rating shields equipment from surges and line noise.